Last month, the Toronto International Film Festival announced their picks for Canada's Top Ten films in the year 2011, for both feature films and short films. Starting today, they will be showing all twenty films selected by a jury of industry professionals. The opening film will be Monsieur Lazhar by Philippe Falardeau. It was produced by Luc Dery and Kim McCraw, who also produced last year's Incendies by Denis Villeneuve. 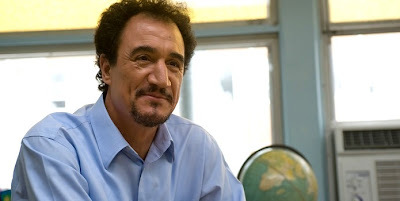 Like Incendies, Monsieur Lazhar is based on a play and has gone on to win many prizes including the City of Toronto Award for Best Canadian Film at the 2011 Toronto International Film Festival. And it too has been submitted as Canada's submission to the Academy for Best Foreign Language Film. Several other Quebec films that will be screened are Starbuck, Marécages, Café de flore and Le Vendeur. English titles include David Cronenberg's A Dangerous Method and Sarah Polley's Take This Waltz. There will also be a panel on the gangster genre, A Canadian Gangster: A Panel Discussion. Filmmakers Filmmakers Guy Maddin (Keyhole), Nathan Morlando (Edwin Boyd), and Jason Eisener (Hobo With A Shotgun) will participate in the talk. The Canada's Top Ten 2011 will continue until Sunday, January 15 at TIFF Bell Lightbox, Reitman Square, 350 King Street West. Filmmakers Guy Maddin, Nathan Morlando, and Jason Eisener, will discuss working in the gangster/crime film genres.